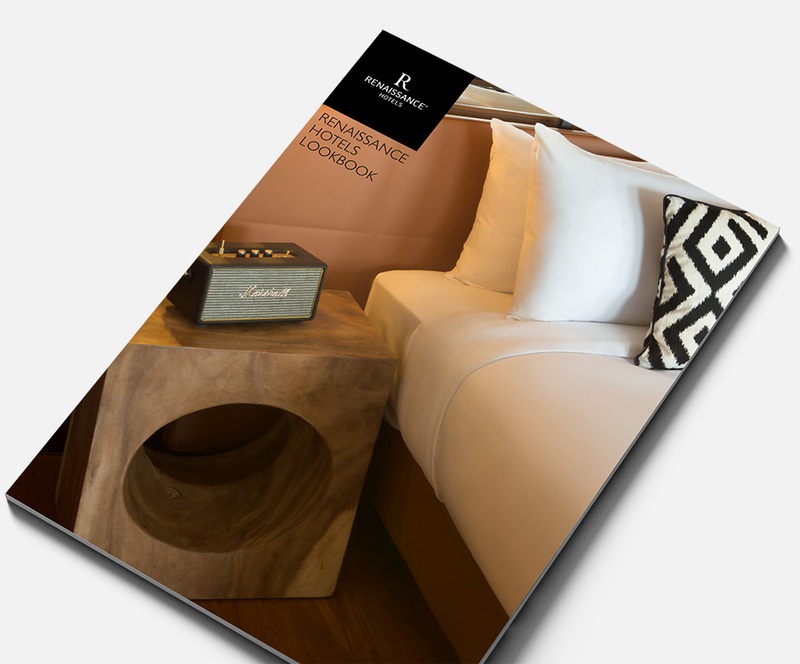 Renaissance Hotels promises to feed the curiosity, fuel the imagination, and excite the senses of its guests, who see their business trip as an exciting opportunity for new, interesting and shareable experiences. 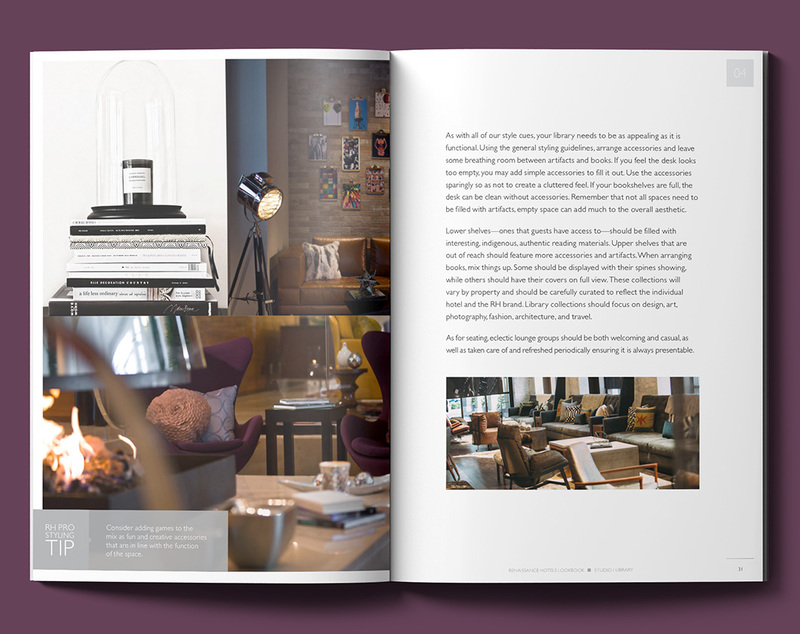 It’s about the delight of discovery — a desire to know what’s out there, what’s innovative; to defy the everyday routine; to add richness and detail to the moments in their lives; to always seek out and find something wonderfully new. 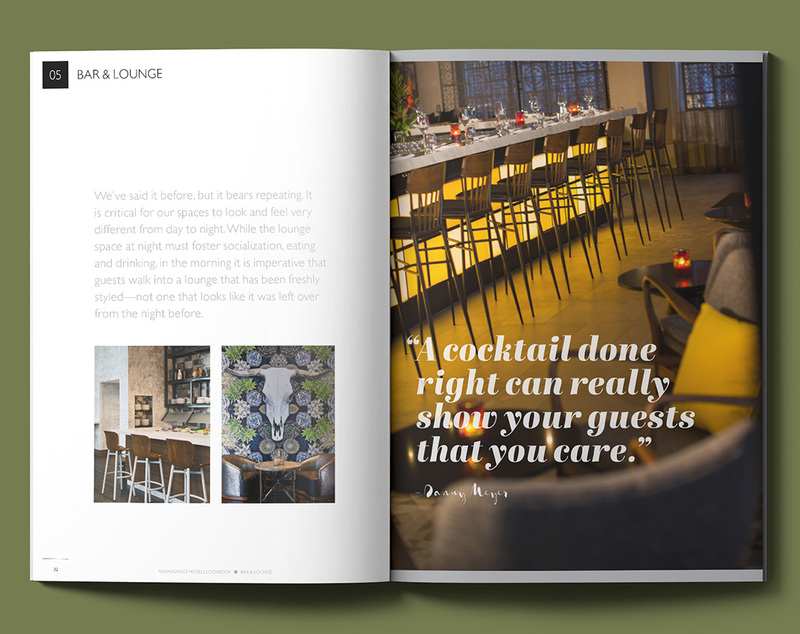 The Renaissance Hotels Brand team approached DCD to design a lookbook that combined several existing brand style guides into a single resource. 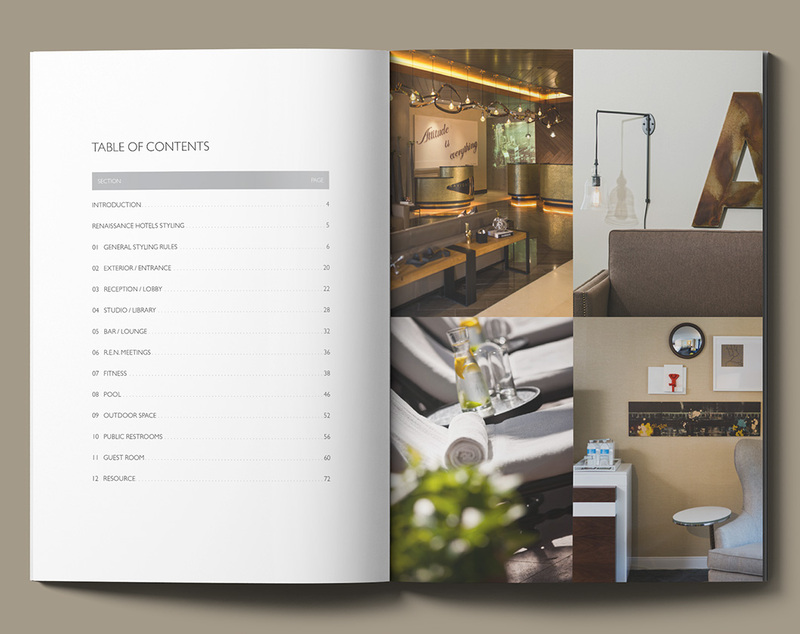 The lookbook will be used by the employees and will provide them with brand approved guidance for a variety of things from exterior entrances, to lobby decor, to guest rooms and bathroom accessories. 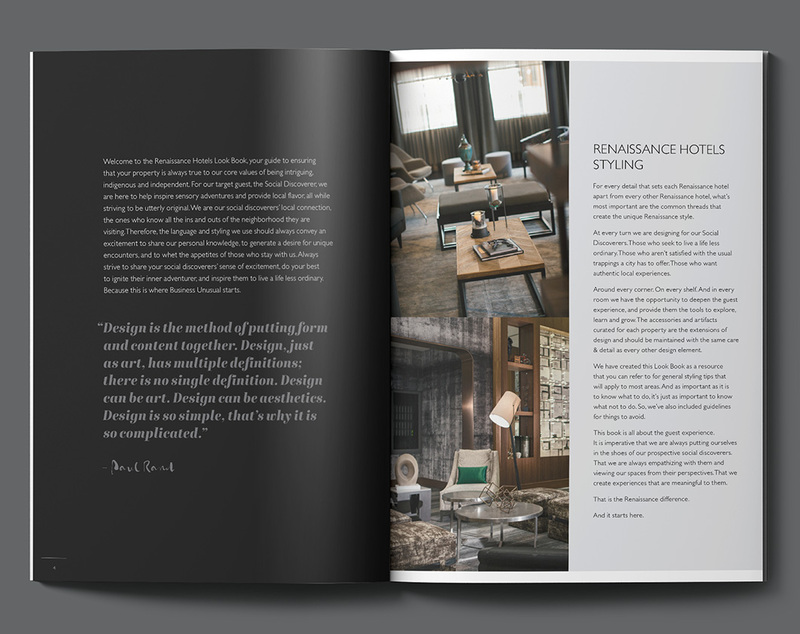 Through elegant photography and simple, clean design, the book shows what to do, and just as important, what not to do in efforts to enhance the Renaissance brand and deepen the guest experience – providing them the tools to explore, learn and grow.